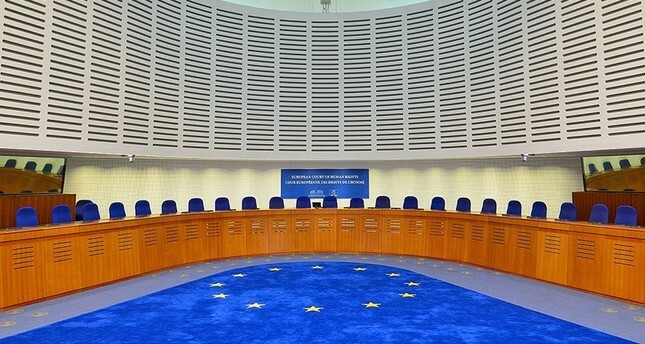 The European Court of Human Rights Thursday rejected two cases related to security forces' operations against the PKK terrorist group in 2015 and 2016, citing "non-exhaustion of domestic remedies," which means the applicants should first apply to Turkish courts. Applicants, residents of Cizre, a southeastern town that was gripped with PKK violence in 2015 and 2016, had applied to the top European court, claiming their rights of life, freedoms and security were violated. Ankara launched a crackdown in southeastern Turkey during what locals called "trench incidents" in reference to PKK supporters who dug ditches in the streets to stop anti-PKK raids. Founded in 1978 and responsible for a campaign of violence against Turkey ever since, the PKK is listed as a terrorist organization by Turkey, the U.S. and the EU. Although a government-sponsored "reconciliation period" led to a lull in its activities, the terrorist organization resumed its armed campaign in July 2015. It has been responsible for the deaths of some 1,200 security personnel and civilians, including women and children, since then. A crackdown across southeastern and eastern Turkey, where the PKK has been active, largely reduced the PKK activities in the region. The European court's ruling will likely set a precedent for 135 similar cases currently before the court. In one of the cases found "inadmissible" by the court, Ömer Elçi, a resident of Cizre, had claimed that the curfew imposed by Turkish forces in December 2015 during anti-PKK operations confined him to his home, and his brother's house was burned down by the security forces. In the other case filed by three residents of Cizre, applicants claimed a relative who had allegedly been injured during gunfire in the operations died when no ambulance was sent. The court said in its ruling regarding Ömer Elçi that he had never appealed the Turkish administrative court decision upholding the lawfulness of the September 2015 curfew. "Mr. Elçi had not shown that the domestic remedies available to him were inadequate or ineffective or that there were special circumstances that exempted him from pursuing them. The application therefore had to be rejected as inadmissible for non-exhaustion of domestic remedies," the ruling published on the court's website said. Regarding the applications of others, the court said the applicants had not provided enough evidence for their allegations regarding the lack of independence and impartiality of the Turkish judiciary.